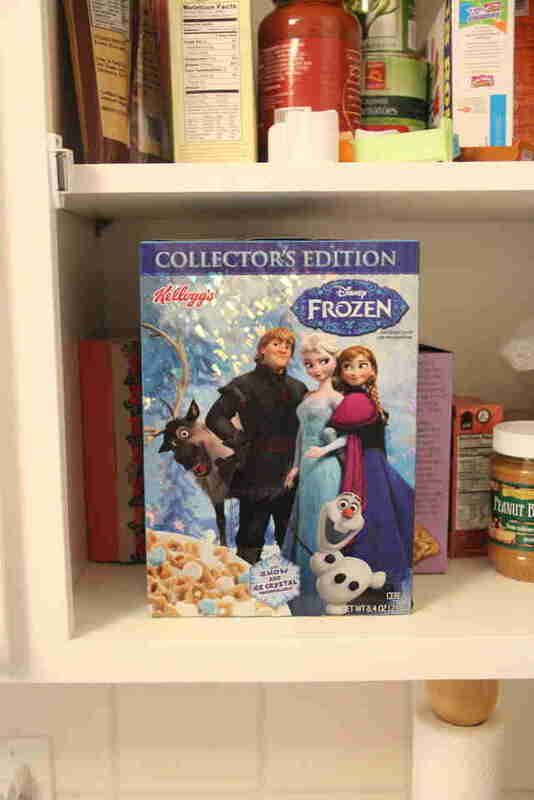 Just when you thought there couldn't possibly be anything else for the snowmaaaaaaaaan-building marketers at Disney to put Frozen on, they, well, found something else: a Kellogg's cereal box. And while it looks like the latest Thing With Elsa And Anna On It is just a bowl of Lucky Charms with blue and white marshmallows, Prince Hans also looked like he was a totally nice dude and WE ALL KNOW HOW THAT WORKED OUT. 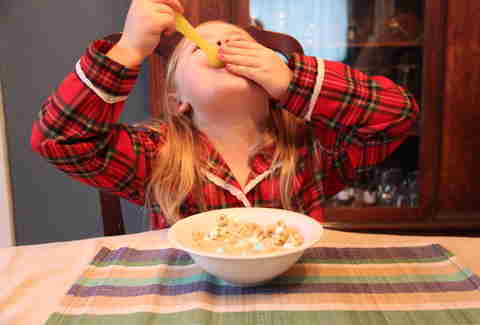 So to be sure, we put the new, "collector's edition" Frozen cereal through a rigorous taste-test conducted by the only pair we could trust with such an important assignment: two 5-and-under little girls. Kennedy, 3 years old: "It's so PRETTY. I like Olaf on the picture." Harper, 5 years old: "I think it's gonna taste good. It has little marshmallows and the marshmallows... LOOK LIKE SNOWFLAKES!!!" Harper, 5 years old: "Mmm hmm. Good." Kennedy, 3 years old: "Mmm hmm." Harper, 5 years old: "I like the ice crystals 'cause they taste like Olaf's skin." Thrillist: "Ok. Would Olaf like the taste of it?" Harper, 5 years old: "No. Because he'd melt, 'cause he's made of snow. 'Cause there's milk in it." Kennedy, 3 years old: "And milk is kinda made of sun." Kennedy, 3 years old: "I think I have Olaf powers now." Thrillist: "What are Olaf powers?" Harper, 5 years old: "To give warm hugs, probably. I think I have Elsa powers." 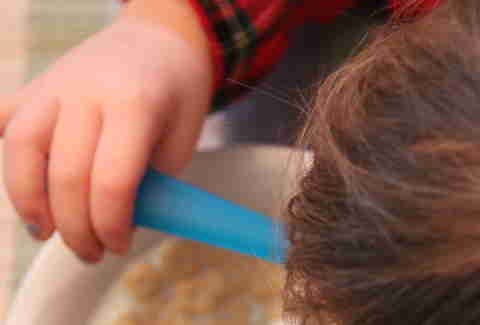 Kennedy, 3 years old: "FREEZE IT, HARPER! FREEZE IT!" Harper, 5 years old: "I FREEZED IT! NOW I FREEZED YOU, DADDY!" Kennedy, 3 years old: "UNFREEZE! I unfreezed you, Daddy." How many stars would you give it (from 1-to-5)? Harper, 5 years old: "100, because that's a very high number." Kennedy, 3 years old: "14, because Elsa likes the number 14." 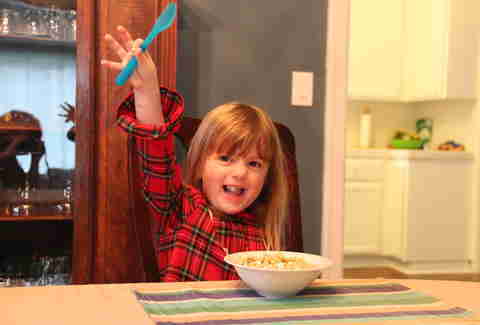 Harper, 5 years old: "Favorite cereal ever. Because it has marshmallows in it." 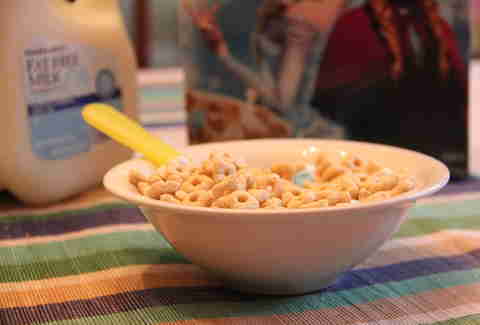 Thrillist: "Lucky Charms has marshmallows in it." 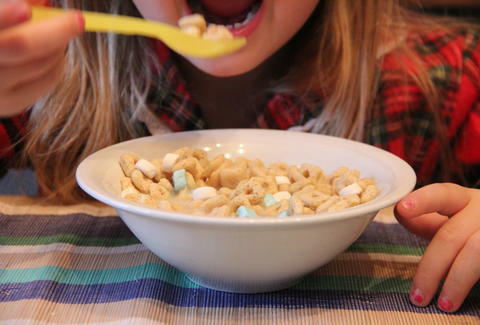 Harper, 5 years old: "I think these marshmallows taste better than Lucky Charms." 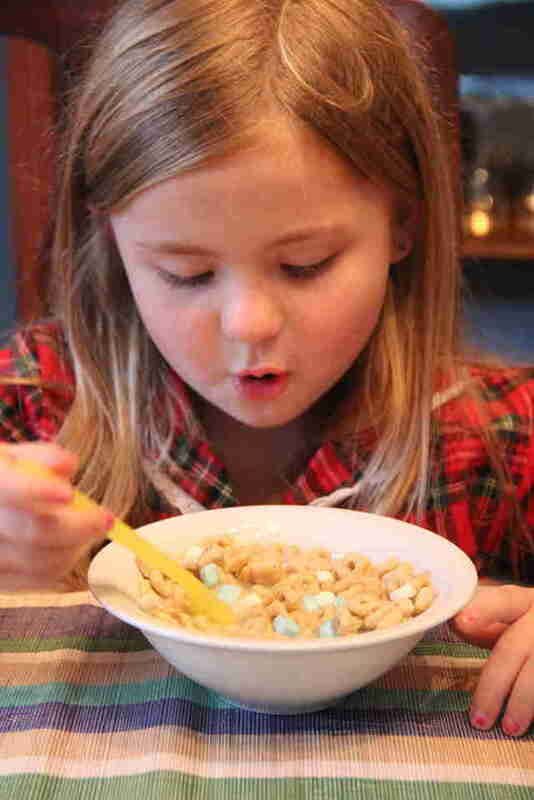 Grant Marek is a senior editor at Thrillist and this isn't the first cereal story he's done with his kids. Check out pics of his Cap'n Crunch Halloween costume on Twitter: @grant_marek.